ACCLAIMED old-time fiddler Bruce Molsky is returning to Shetland for three shows involving a collaboration with local musicians in May, while Edinburgh singer-songwriter Dean Owens is also back in the islands next month. Molsky will perform at Baltasound Hall (15 May), Muckle Roe Hall (16 May) and Mareel (17 May). A number of local players will be brought in to help explore the common threads in North American and Shetland musical traditions. He is internationally recognised as one of the world’s most influential old-time fiddle players, a virtuoso of North America – and in particular Appalachia – folk music traditions. 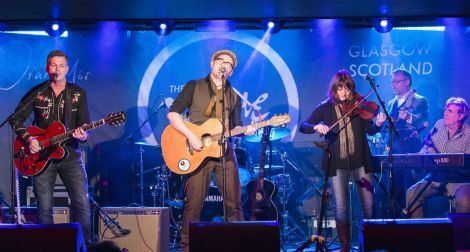 In addition to a prolific solo career on fiddle, guitar, banjo and vocals, Molsky frequently joins genre-busting groups such as the Grammy-nominated Fiddlers Four, Mozaik and Ireland’s Donal Lunny. 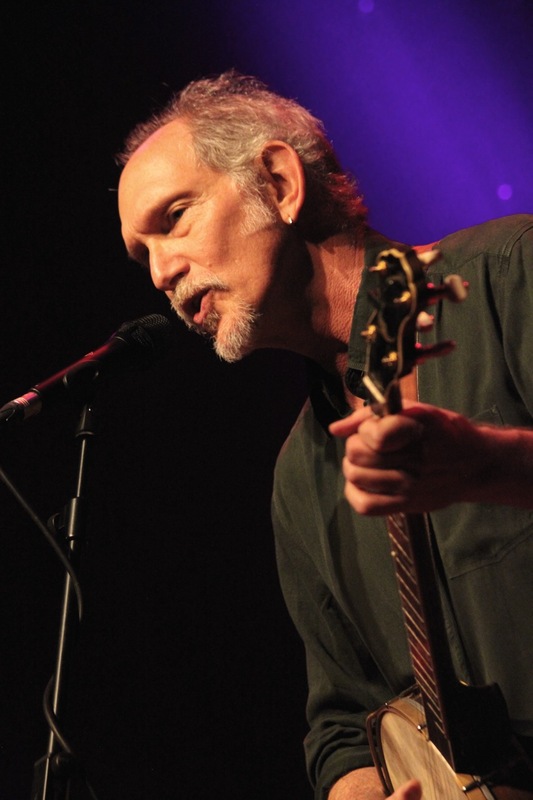 He featured on Nickel Creek’s farewell tour, and performs in a trio with Shetland fiddler Aly Bain and Sweden’s Ale Molle – along with being a regular contributor to the hugely successful Transatlantic Sessions concerts and television programmes. “I’m so looking forward to this latest visit,” Molsky says. “The common elements between our two musical heritages and traditions are there for all to see and this factor has attracted me for some time, so I think it will be a very exciting and rewarding visit and I’m especially looking forward to working with and alongside your great Shetland musicians. Davie Gardner of Atlantic Edge says: “I’m delighted that Bruce is set to come back to Shetland again as part of his UK tour. “His previous visits here proved to be hugely successful – not only because of his own terrific and diverse musical talents and warm, engaging personality, but also due to the wonderful musical collaborations those visits created in conjunction with our own local musicians, exploring the commonality between his roots and traditions and our own. Tickets for all three gigs will go on sale via Shetland Box Office in the coming week. Meanwhile Owens will be back in Shetland next month for gigs at Mareel and Muckle Roe. His association with the islands began when he and his then band The Felsons went down a storm at Shetland Folk Festival – earning he and the band a loyal and enduring following. Owens has returned on numerous occasions since, mostly as a solo artist, performing a sellout show in Mareel supporting his Johnny Cash-inspired album ‘Cash Back – Songs I learned from Johnny’. Now he returns to help launch his new album ‘Into the Sea’, recently recorded in Nashville, produced by Neilson Hubbard and featuring musical luminaries including award-winning guitarist Will Kimbrough and Stateside vocalists Kim Richey and Suzy Bogguss. Due for release on 27 April, advance copies will be for sale at the Shetland shows. On Friday 10 April he will perform a special solo show at Muckle Roe Hall accompanied by Arthur Nicholson. The following night at Mareel – supported by the Sheila Henderson Band – he will be joined by the Whisky Hearts Band, an “incendiary” live group featuring long-time collaborator and Felsons band mate Calais Brown on guitar and backing vocals, Jim McDermott (ex-Simple Minds) on drums, Amy Geddes on fiddle, Sean Pugh on keyboard and the late Jack Bruce’s nephew Nico Bruce on bass – a line-up that “threatens to shake the rafters of Mareel”. Tickets to see Dean Owens at Muckle Roe Hall (priced £12) and with his Whisky Hearts Band at Mareel (priced £16) are on sale at Shetland Box Office now.